The 18 First-Class Counties have agreed to a number of proposals which will bring around changes to the men's domestic structure from 2020 onwards. These proposals followed the appointment in the summer of the Men’s Domestic Playing Programme group (MDDP), chaired by Leicestershire chief executive Wasim Khan and drawn from different sections of the men’s county game and ECB. The group was asked to consider four areas: i) the structure of the Specsavers County Championship, ii) the number of fixtures in the Vitality Blast, iii) the form of county cricket that should be played during the New Competition and, iv) a possible involvement of the Minor Counties. It met four times and held a series of consultations across the country to further canvas opinion across the county game. This led to the following four proposals, in turn supported by ECB's Cricket Committee and now agreed to by the 18 First-Class Counties. COUNTY CHAMPIONSHIP: Each team will continue to play 14 matches. To achieve this, three teams will be promoted from Division Two in 2019 with one relegated from Division One. From 2020, promotion and relegation will revert to two-up, two-down. While not significantly affecting the 'best v best' principle in the top division, this change will provide an appropriate increase in security to Division One teams with a smaller percentage being relegated each season, and a correspondingly increased opportunity for Division Two teams as they will have a greater percentage chance of promotion. Due to the asymmetrical nature of 14 matches in a 10-team division a seeding system is being explored to optimise fairness, firstly in Division Two in 2019 followed by Division One from 2020 onwards. 50-OVER COMPETITION: From 2020, the county 50-over competition will be played during the New Competition, in July and August. The counties will be split into two groups of nine - not necessarily along existing North and South lines – and will play each of the other eight counties in their group [four at home and four away] before the top three qualify for the knockout stages. Overseas players will not be permitted to take part in the county 50-over competition. T20 BLAST: The Vitality Blast will retain its current format, with the counties split into North and South Groups of nine teams each, and each team playing 14 fixtures – seven at home, and seven away. 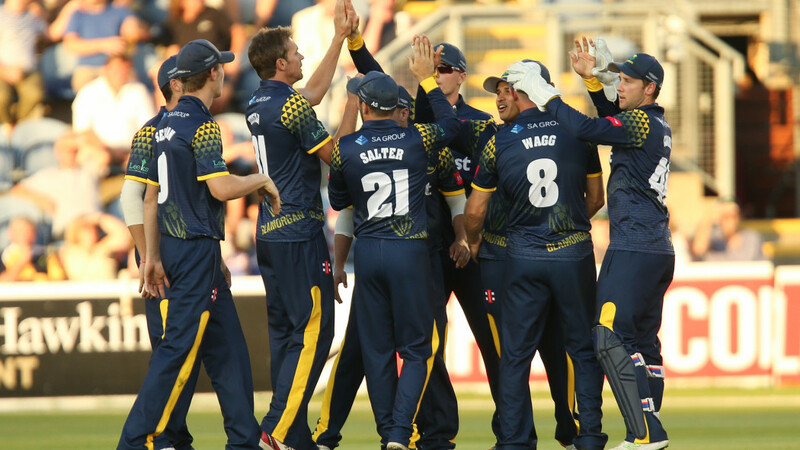 The top four will qualify for quarter finals, with the four winners qualifying for Finals Day at Edgbaston. MINOR COUNTIES: From 2020, a new round of 50-over fixtures will be played before the domestic One-Day competition in mid-July, with each First-Class County visiting a Minor County. Wasim Khan, the Leicestershire chief executive who chaired the Men’s Domestic Playing Programme Working Group, said: “It was critical throughout the process to consider a programme that was underpinned by three key principles: supporting sustained success for England teams, maintaining a vibrant domestic game and recognising the importance of red ball cricket. Gordon Hollins, ECB Chief Operating Officer, said: “It was important that the process took in the views of all the stakeholders in the domestic game, especially the counties.